Half way through an interview with a Vice Minister from one of the Pacific Pumas (Mexico, Colombia, Peru and Chile), I drop my pen and push my pad of paper towards the center of the table. It has not been interpreted that way. 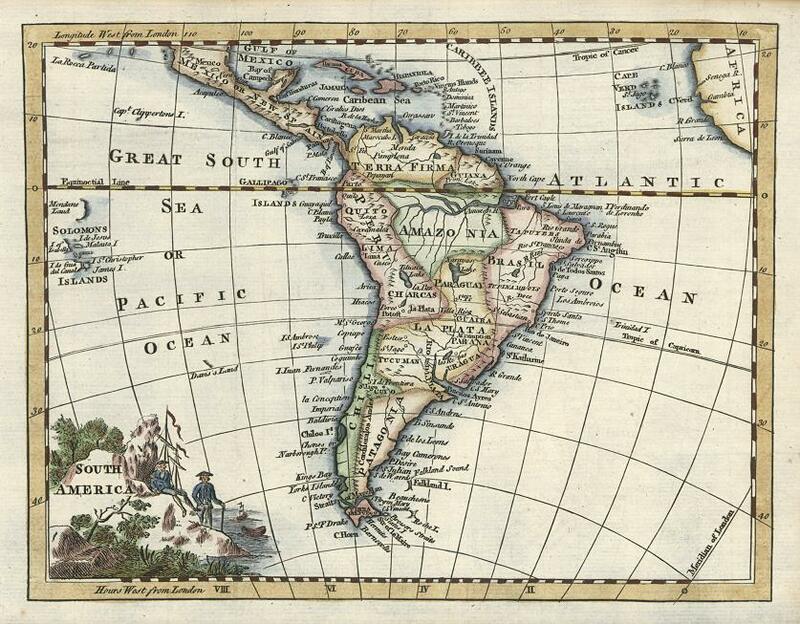 The Economist has heralded a “continental divide” writing that, “The region is falling behind two alternative blocks: the market-led Pacific Alliance and the more statist Mercosur.” The venerable Latin Americanist Andres Oppenheimer concluded similarly. The argument holds that the Pacific Alliance is a conscious effort to counter ALBA influence and also to escape from beneath the looming shadow of Brazil. But here is the catch: The Pacific Pumas would greatly benefit from a unified Latin America. And they would love to partner. Argentina and Bolivia hold the key to solving Chile’s energy conundrum. For Colombia, trade with Venezuela represents an opportunity to expand beyond a commodity-heavy export portfolio. Mexico, which has already emerged as a portal for manufactured exports to North America, views South America as the next frontier. It could greatly benefit from easy access to Brazil. In fact, at one point or another, the Pumas have attempted to intertwine their economies with “the other side” of Latin America, and each time the effort has backfired. In theory, they are matches made in heaven. But Nicolás Maduro doesn’t read theory. When Bolivia and Argentina stumbled on more natural gas than a Klump family reunion, Chile was perfectly positioned to benefit. Bolivia could supply Chile’s copper-mining north, while Argentine pipelines would feed the populous Chilean heartland. Shame it never worked out that way. Santiago has been dogged by the vicissitudes of Argentine energy policy where populism has meant whimsical rules of the game, mettlesome macroeconomic policies and disputed contracts that have undermined Chilean trust in the availability neighbor’s gas exports. In 2004, for example, La Casa Rosada limited gas exports to Chile in response to a domestic shortage in Argentina. Chile received below 66 percent of the normal amount, jeopardizing daily Chilean operations. Meanwhile Chile has been wholly unable to reach a gas export deal with Bolivia, where resource protectionism and hostility towards Chile have defined Evo Morales’s unlikely rise, and he has proven reluctant to tinker with this strategy. For a populist, the creation myth must remain sacred. For Colombia, anxious to establish a manufacturing export portfolio, proximity to Venezuela offered opportunity. With Venezuelan production overwhelmingly geared towards oil production, the country needs to import just about everything else (as Russ Dallen of the Latin American Herald Tribune has so elegantly documented). Between 2000 and 2008, Colombian exports to Venezuela nearly quadrupled in terms of dollar value. The bulk of these exports were manufactured goods: In both 2007 and 2008, eight of the top ten Colombian exports to Venezuela were non-commodities. From 2003 to 2008, the percentage of Colombian exports destined for Venezuela jumped from around two to just under 18. For the optimist, this relationship offered proof of Colombia’s potential beyond commodity exports, and Bogotá hoped to use it as a foundation to hone manufacturing capabilities for global markets. Unfortunately, the inherent risk in partnering with a boisterously populous neighbor proved far greater than the sheer economics would suggest. 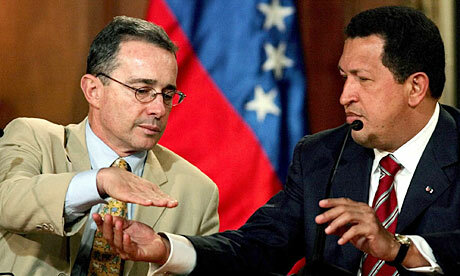 The diplomatic relations rapidly deteriorated, lost amidst macho posturing between Colombian President Álvaro Uribe (2002-2010) and Venezuelan President Hugo Chávez (1999-2013). The relationship severed in July of 2009 when the extent of US military presence in Colombia became public. 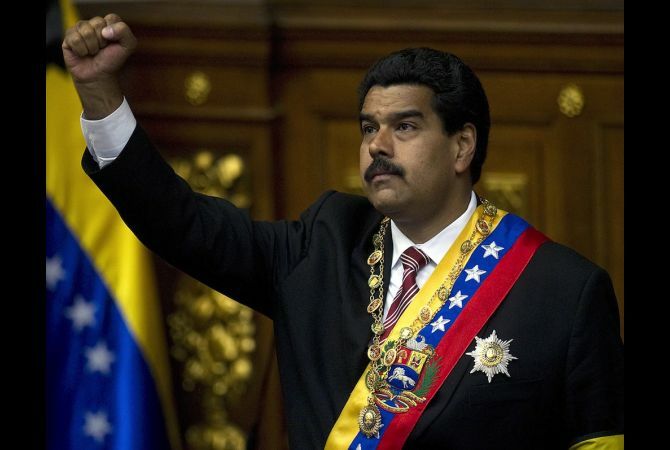 Hugo Chávez moved to replace Colombian trade with imports from Argentina and Brazil. For a man oft-criticized for an inability to match rhetoric with results, Chávez made good on this threat. Between 2008 and 2010, bilateral trade fell from US$7.29 billion to US$1.68 billion, and Colombian exports to Venezuela stooped to 3.6 percent of total exports. The trade breakdown cost Colombia a full one percent of real GDP growth in 2009. The clear message for Colombian technocrats and businessmen was that, when doing business with Atlantic-Latin America, all the work required to put an economy on a successful track could be derailed when a stubborn paisa bumps into a bombastic llanero. Even Mexico, which in 2010 sent over 85 percent of its exports north to the US and Canada, has been unable to avoid the pitfalls of South American protectionism. The Complementación Económica No. 55 (ACE No. 55) signed between Mexico and Mercosur in 2002 opened South American markets to Mexican auto exports just as Brazil’s expanding middle class portended a consumption boom. Just between 2009 and 2011, Mexican unit exports to Brazil increased by 152 percent, generating US$2.1 billion dollars, and a US$696 million dollar surplus. Success with Brazil stoked beliefs that Mexico could be a hub for manufactured goods sold south, just as it is a hub for goods exported north. However, this growth came undone when Brazil tacked sharply towards protectionism. In September of 2011, Brazil slapped a 30 percent import charge on motor vehicles and parts. ACE No. 55 should have protected Mexican vehicles from this tariff, but President Rousseff’s administration moved to “restructure” the trade agreement. In order to save any semblance of the deal, Mexico accepted a quota system that would limit auto exports to Brazil to US$1.45 billion in first year, and US$1.56 and US$1.64 billion in the next two years. Rules of regional content were slated to jump to 40 percent within five years. Both measures stung. The quota demanded a 26 percent revenue reduction, and, in fact Mexican light vehicle exports to Brazil dropped 72 percent in February 2013. With Argentina imposing similar restrictions as Brazil, Mexican auto exports to Latin America declined 50 percent, year on year. Its much less painful to hang out with the Asian Tigers. This entry was posted in Andean Region, Mexico + Central America, Uncategorized and tagged ALBA Mercosur, ALBA Pacific Alliance, Latin America divided, Pacific Alliance Mercosur, South American Split. Bookmark the permalink. The Asian tigers are carnivorous. These Pumas are tasty dinner. Atlantic nations have a large experience in dealing with globalization. They know that they can’t compete with Asia. The Pacific ones are newbies, dogmatic, naive. The will be the PIGS of America.